In 2011, the State Department created AEIF to support alumni initiatives that promote shared values and find innovative solutions to global challenges. The competition provides grants to teams of past and current participants of U.S. government-sponsored exchange programs to carry out public service projects that utilize skills grained through their exchange experiences. Through hands-on trainings and exclusive opportunities, “Teaching IT Skills to Get Jobs” participants gained a better understanding of IT industries and careers. They learned how to develop apps for iOS and Android systems, visited IT companies to discuss career possibilities, and explored the U.S. higher education system at two EducationUSA college fairs. This AEIF project was managed by a team of dedicated alumni from a diverse array of programs. Fulbright and Humphrey Fellowship alumni created and designed the platform for the courses, while Undergraduate Exchange program (UGRAD) and International Visitor Leadership Program (IVLP) alumni with experience in IT fields developed the webpages for the project. 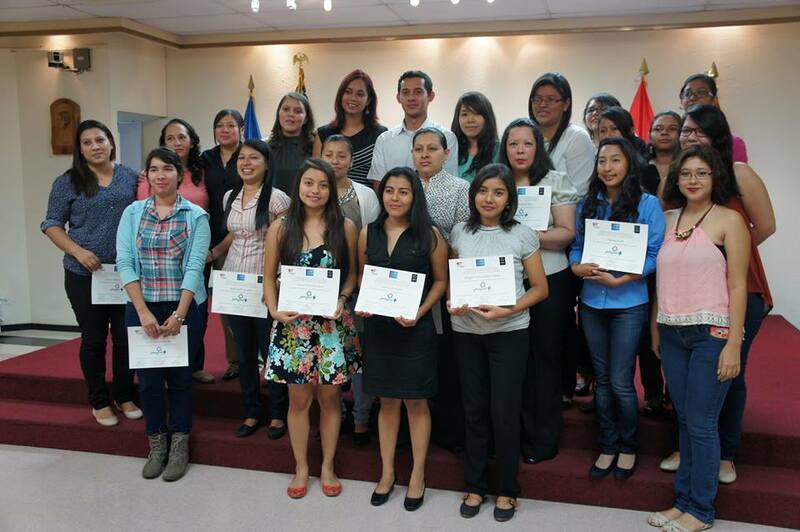 Several English Access Microscholarship program alumni also assisted with the education fairs. Thanks to this alumni-led project, 15 participants were hired by the IT companies that participated in the project.